Steven Kroon was raised in Harlem and Queens, and what he learned there has taken him on 15 world tours and given him 50 years in the business of professional percussion. Growing up, Steve listened to his father’s mambo and Latin jazz records, then he’d hang out with his friends who were into jazz. The neighborhood was full of working musicians, too, including Lester Young, Eddie “Lockjaw” Davis, and Count Basie. Steve started conga drum lessons with Tommy Lopez, Sr. and also studied with the legendary Brazilian percussion innovator Dom Um Romão. Best known for his work with R&B and pop singer/songwriter/producer Luther Vandross, Steve Kroon has contributed to seven platinum-selling albums. He toured and recorded with venerable jazz bassist Ron Carter for 17 years. Concentrating for the last several years on his solo career, Steve was finally recognized by Downbeat magazine as a “Rising Star” in 2016 and 2017. He’s got 6 albums out under his own name now, wonderful collaborations with pianists Oscar Hernández* and Igor Atalita, vibraphonists Bryan Carrott and Steve Nelson, and others who participate as the Steve Kroon Latin Jazz Sextet. The latest album on his Kroon-A-Tune label is In Your Dreams. We’ll be hearing from In Your Dreams in the coming weeks on Jazz Caliente. This week, I’ll play “Belly Button” from his 2002 CD Señor Kroon. *Speaking of Oscar Hernández and new albums, don’t forget that the Spanish Harlem Orchestra’s new CD Anniversary is available now, and we’ll be hearing from it soon on future Jazz Caliente programs. 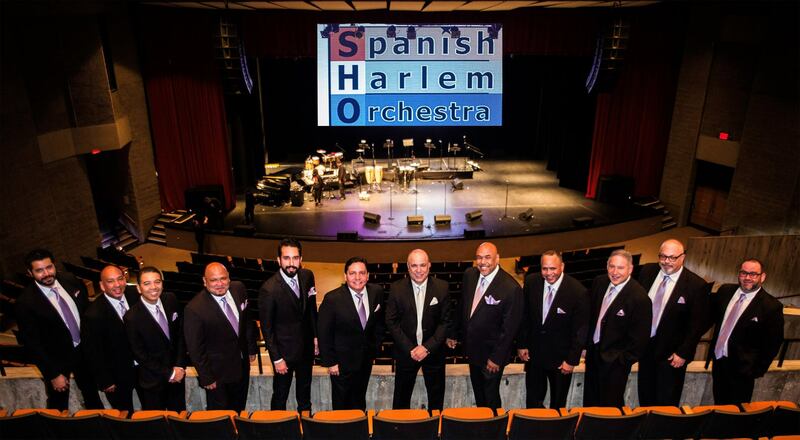 The Spanish Harlem Orchestra is coming back to Jazz Alley in Seattle June 21-24.